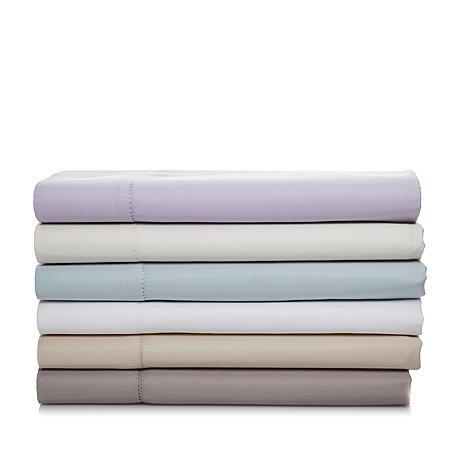 Take back your nights — and your days — with this comfortable sheet set. 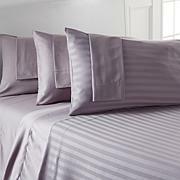 The high thread count provides a superior feeling of softness as you drift away. The cotton-rich construction makes it easier to care for so your days can be just as dreamy as your nights. 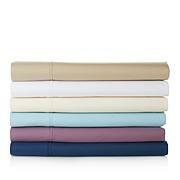 Thread count refers to the number of threads meticulously woven per square inch. This 1200 thread count sheet set delivers a finer weave and, therefore, a slightly heavier feel than a set with a lower thread count. 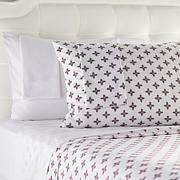 I absolutely love these sheets! They are so soft and stand up very well in the washer and dryer... We have a King Sleep Number bed with a very thick mattress and these have such deep pockets on the fitted that they never come off! Im ready to buy two more sets when my colors are Available. First set was perfect thickness and heaviness. Second one was very different. I'm buying another set in Hope's it is like the first if not I will return it. My favorite sheets by far. Great sheets. Here in Arizona, these are too thick for warm weather, but very nice set.